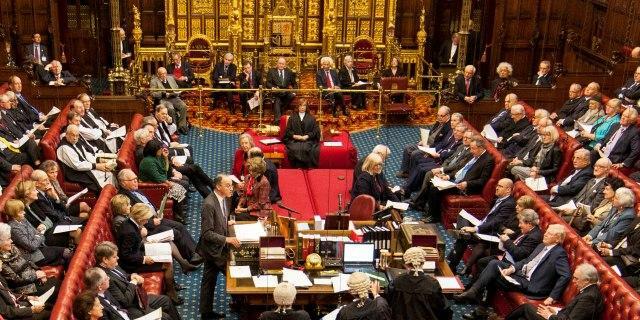 (CNS): Members of the UK House of Lords are complaining that banks are treating them like "deposed dictators or political pariahs" when they try to open accounts or conduct financial transactions. According to reports in the British press the peers are moaning about being caught up in money-laundering regulations because banks classed them as high-risk "politically exposed persons". This makes them, and their relatives, subject to extra due diligence checks. Treasury Minister Lord Deighton told the BBC that banks were acting "disproportionately". He said UK parliamentarians were not currently classed as politically dependent persons, which are restricted to members of foreign governments, but added that new global standards "will require that they are treated as such". Liberal Democrat Lord Clement-Jones said even before the new Money Laundering Directive had come into force, his son had been unable to access a cash machine. Other complaints included a member whose 12-year-old daughter was asked to provide a utility bill and her drivinglicence to get a savings account in her name, and another’s sons were turned down by banks when they found out who their father was. Lord Deighton said UK parliamentarians should be “treated exactly the same” as he encouraged members to complain to the Financial Ombudsman. He called for a balance so "terrorists and criminals" were targeted, leaving "the rest of us free to go about our business". (CNS): European nations conceived the African slave trade, put the enterprise into motion, controlled its operation and were massively enriched by it, the former Prime Minister of Jamaica, PJ Patterson, said on Sunday night when he gave an address during the opening ceremony at the regional conference on reparations in Antigua and Barbuda. 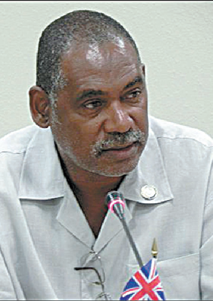 Patterson urged the new generation of Caribbean leaders not to give up the pursuit of reparations for native genocide and slavery. In his address Patterson dismissed arguments that Africa was complicit in the genocide and pointed to the culpability of European countries. Africa, he said, was the victim of exploitation that crippled its potential for development. 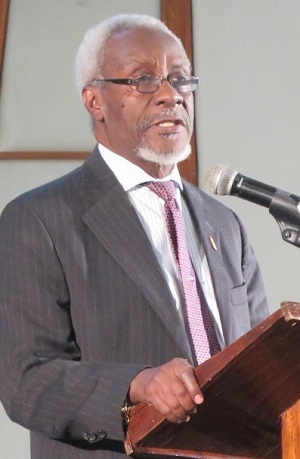 At the latest meeting to press forward with the legal case for reparations, Patterson passed the torch to Gaston Browne, the Prime Minister of Antigua and Barbuda. “As one who belongs to the older generation of Caribbean leaders, I am here today to present that torch to a leader of the younger generation and to say: Never let that torch be extinguished,” Patterson said. 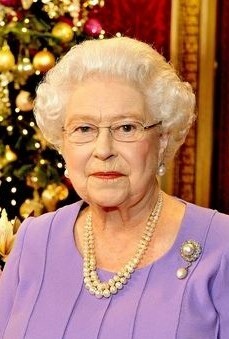 Browne assured him that the regional leaders have accepted the torch and “will never allow it to be extinguished”. Patterson also challenged the critics that assert Africans should share moral responsibility for the crime against humanity because they were complicit. “One should not place on a victim the guilt for a crime; so we should stop putting the guilt of the collaborator on the shoulders of the victim. The African continent was the victim of imperial exploitation and slavery and suffered a massive loss. It resulted in a major depopulation of Africa, with its heavy male bias. It destroyed age old political traditions, undermined tribal systems, corrupted both moral and civil practices. 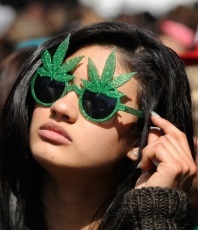 In short, it crippled the potential for economic growth and social development,” he said. He added that the infrastructure established to support trafficking of Africans was not known there before the mass exportation of Africans to the West. From forts along the coast to the floating prisons that transported the captured human beings, he also noted the banking and insurance sector that financed the whole process. Patterson said African leaders were induced by intimidation or bribery as well as greed to collaborate in the trade but many leaders opposed vehemently the capture and shipment of their people. CARICOM officials said the objective of the conference was to widen the dialogue and intensify the scientific and popular discourse on the reparations commission’s ten point reparatory justice plan and map out national and regional strategies to advance the case for reparations from Europe. Since CARICOM established the formal committee it has also re-energized the reparations movements on the African continent, the United States and the United Kingdom and has generated international attention. (CNS): Michael Misick has called on the countries in the region to take an interest in what he describes as the manipulation of the justice system in the Turks and Caicos Islands and where the UK has removed his and others caught up in the territory’s corruption scandal, right to a jury trial. 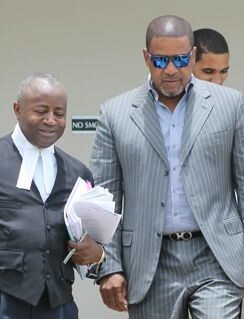 Misick said that what has happened to him and his political colleagues is similar to the Bush case but he pointed out that because Cayman’s jury system remains in place the justice system worked and exposed what seemed to be “a British government conspiracy” to tarnish the former CI premier and oust him from politics. “His acquittal shows that a justice system made up of a jury of peers works,” the former TCI premier wrote in an article published by the TCI Sun. In TCI, Misick stated, there was a “modern day coup d'état” where the UK government and its governors were doing everything in their power to tarnish his and his political colleagues names. He said the law and the cnstitution had been changed in an attempt to prevent them from getting a fair jury trial. “I believe that if it is right to have a jury trial in the Cayman Islands it must also be right to allow a jury of our peers to judge our guilt or innocence here in Turks and Caicos Islands,” he said. 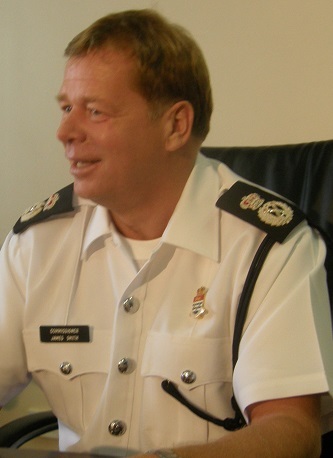 “I believe the justice system here is controlled and manipulated by Helen Garlick, SIPT and others for a specific outcome of their creation,” he added as he spoke about the investigation team which has been pursuing various allegations of corruption against Misick as well as other politicians and local business people for several years. “They seem to get whatever they want; both civil and criminal. The verdict of Mr. Bush illustrates that the justice system can work in a British overseas territory if it is not tampered with by external whims and fancies, namely the British government and their appointed British Governors,” Misick wrote as he congratulated Bush on his acquittal from corruption related charges. He asked regional countries, Jamaica and Barbados in particular where he said the local judges were from to examine the removal of the right to a trial by jury which Misick described as a “long standing mechanism geared for dispensing true justice”. He said its removal was undemocratic. Despite indicating connections between the situation faced by himself and his colleagues, the Bush and the Misick et al cases are different. The corruption investigations in TCI stemmed from a report which had identified systemic corruption in the country in 2008 which led to the suspension of the country’s constitution and direct British rule for over two years. Many local politicians and business people were sucked into the wide investigation and Misick fled the country. He was eventually arrested and then extradited from Brazil and is now awaiting trial. The case in TCI relates to whether or not large sums of money given as political donations by various businessmen and developers in the TCI as well as the sale of crown land amounted to corruption and was illegal. 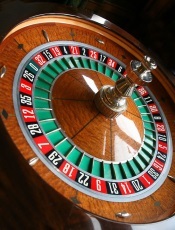 Bush was charged with misconduct and abuse of office after he used his government credit card to withdraw cash from ATMs and take cash advances from casinos in to gamble on slot machines while travelling on overseas trips in his capacity as premier. Having denied any criminality or wrong doing Bush was cleared by a jury and despite admitting to using his government gold card in casinos, he said the case against him was a conspiracy because of the way it was manipulated. Bush also said his well-publicised arrest under suspicion of theft as well as corruption amounted to trumped up allegations as no theft charges were ever brought. 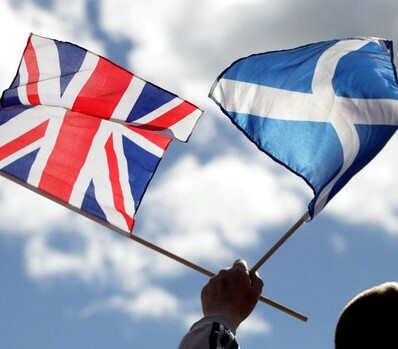 (CNS): The local government doesn’t have to worry about finding the budget to replace its Union Jacks as the flag has survived after Scottish voters elected to remain in the Union with England, Wales and Northern Ireland. The historic independence referendumwas not quite as close as had been anticipated during the last few weeks of voting where the “Yes” campaign to independence appeared to have gathered pace. Nevertheless, over 1.6m Scots voted to leave the United Kingdom when the 32 council areas counted their votes through the night. The final result was split at 55.3% saying ‘No” to 44.7%. Twenty-eight out of the 32 council areas votedto remain in the union, leaving just four in favour of independence. (CNS): Following an election in one of the UK’s smallest overseas territories, the incumbent premier Reuben T Meade, leader of the Movement for Change and Prosperity (MCAP), has been ousted from office. Meade has conceded defeat to the leader of the People’s Democratic Party (PDM), Donaldson Romeo, and congratulated him on a “well fought battle”, according to regional media reports. Speaking on the island's radio station Friday morning, Romeo said he was looking at a “convincing victory” for the party and appealed for a united Montserrat as the new government takes over the task of rebuilding the island, which was battered by a volcano some 17 years ago. Romeo said that there was nothing set out in the campaign manifesto that his party could notachieve. Located in the Leeward Islands and part of the Lesser Antilles, Montserrat is less than ten miles long and seven miles wide. There are less than 4,000 eligible voters who vote for a national slate with nine votes. Meade, who is the father of Ben Meade, CITN’s news director here in Cayman, said it had been an interesting election campaign as he congratulated the PDM. As well as representatives from the two parties, there were 13 independents among the 31 candidates who ran for office. The election was observed by a four-member team from the Commonwealth Parliamentary Association (CPA).